Two great tastes in music came together for the Troubadour Reunion tour, celebrating the 40th anniversary of their first time performing together at The Troubadour Club in Los Angeles originally in 1970. The reunion concert was held at the Troubadour itself in November of 2007. A CD/DVD album was produced from this event, that contains a subset of the tour play list. The reunion tour was announced in November of 2009 and began the following March in Australia. Over 50 international dates were scheduled and the tour ends next week in Anaheim. USA TODAY considers it one of the top 5 concerts of this summer. It’s the top selling ticket event in history, beating the Super Bowl, in terms of secondary ticket sales. I’ve been going to James Taylor concerts for over 30 years. I’ve seen three concerts so far this year, this was the best. Wednesday night it came to Denver’s Pepsi Center. I got my tickets three seconds after they went on pre-sale and got seats in the second row off the floor, about 75 feet from the stage. This tour is a bit unique, trying to pattern the stage in an intimate setting, in the round in the center of the auditorium. As the stage rotated, I had great seats at least half the time, and there was a wide-screen TV on the back side of the stage. But we were so close that the view was better than what appeared on the circle of Jumbotron displays above the stage. Surrounding the stage were VIP stage seats with tables and chairs which funded the favorite charities of Taylor and King. If this title sounds familiar, it is because it subsequently provided the introductory line in George Harrison’s “Something.” JT had originally wanted to title this song “I Feel Fine” after the lyric in his song “quite a long long time and I feel fine,” but the Beatles had already taken that title. As JT sang this song in Denver, Carole King added great harmonies. It was rendered very simply, with just bass accompaniment. Danny Kortchmar on Electric Guitar. I’ve known him since he was knee high to turnip green, introduced me to Carole, and was in the band Flying Machine with me. This was one of his earliest hits and it appeared on his debut eponymous album in 1968 which he recorded for Apple Records, the record label of The Beatles. He had written it in London as he was homesick. The lyric “holy host of others standing around me” is a reference to The Beatles who were recording The White Album at the same time and studio, and accompaniment by Paul McCartney and George Harrison on the track. 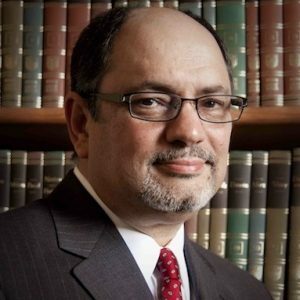 This is one of his most affecting and heart-tugging songs, and has become the unofficial song of both the State and the University of North Carolina at Chapel Hill. When I saw him perform this song at Red Rocks accompanied by visuals, I wanted to go to Carolina in my mind. As JT performed this Wednesday night, he had great backing singers, who after they finished this song all left the stage, all but one. Carole’s voice is right on, for this modern spiritual. Originally this song was on her Tapestry album, released in 1971 and was #1 on the charts for 15 consecutive weeks. The album has sold over 25 million copies worldwide, winning 4 Grammy Awards. 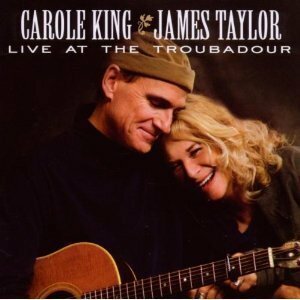 James Taylor had encouraged Carole to sing her own songs. For Tapestry, She holds the record for the longest time for an album by a female to remain on the charts and the longest time for an album by a female to hold the #1 position. As is his habit in live concerts, he goes funk and Carole brought the crowd to their feet to clap. “You can feel it” hands go up. The next two are hymns for agnostics, spiritual, yet non-assigned. They help you get up and put one foot in front of the other. That was good… too good. Were going to take a 15 min break. Well be back and hope you will too. During the interval the Jumbotrons showed “Intermission” reels from the Drive-in movies of the 60’s, including the famous dancing hot dog from the movie Grease. Another song about North Carolina, redolent with smells and memories so thick you have to brush them away like flies. This song was accompanied with both fiddle and accordion. This was nostalgia on steroids. A number of songs Carole’s written, I’ve covered. And many of the songs I’ve sung, it turns out that Carole wrote them. Here’s one originally recorded by The Everly Brothers. I recorded with Art Garfunkel. And it turns out Carole wrote it. Such beautiful harmonies between the two of them. We started putting this tour together back in November. First set list was 6 hrs long (the crowd cheers approval and encouragement.) It had to be shortened, and it was an emotionally wrenching experience removing song. Taking them out was like dropping your kids off at camp. This was requested by Denver. Gonna do a cowboy lullaby. When I wrote this I’d been abroad for a year. That never sounds right. I’d been traveling overseaw. He’d been recording in England, and was driving down to North Carolina as he describes his brother And his wife having a kid while he was away. In a moment of relaxed judgment they named him after me. It’s a cowboy lullaby that might have been sung by Roy Rogers or Gene Autry. Lights out in the bunk house. Go to sleep ya little buckaroo. This is my favorite song by JT, telling of the past with the cowboys, the present of a drive from Western Massachusetts, and the visionary picture of the highway, the sea and the sky. Textures and colors of deep green and blues. When Carole added the harmonies, it pulled at my heart. When JT performed this song a few years ago at Coors Amphitheater, he mentioned that the grandmother of Sweet Baby James was in the audience. Could this have in fact been both the grandmother of his nephew as well as his own mother Gertrude Taylor? For this performance the wailing sax was replaced by the electric guitar. Though it was good, the saxophonist was missed. Even Lisa Simpson would have done. Back in 1960 I was a struggling song writer. I had a hit with (the girls group) The Shirelles. It was recorded 10 years later with James Taylor. When JT sang his long, low, soulful harmony, it was heart melting, bringing applause. They hugged after the song and the room came to their feet. This was a huge crowd pleaser by JT. Carole did some nice instrumental jamming in the middle that brought a well deserved ovation. This introspective ballad once hit #3 on the charts. A mournful song about depression, his time in mental institutions and a friend’s suicide tells about the crash of his early band The Flying Machine. This hit song for JT had Russ Kunkel doing his innovative brushes on drum. He took a bow to another standing ovation. Most of the ladies came to their feet, as the Jumbotron showed videos of ladies in old dancing movies. This too got an ovation. JT often explains in his own concerts that it was her great generosity to let him release this song she wrote before she herself did on her own Tapestry album. Both won Grammy Awards in 1971 for the song. On the first chorus, she sang harmony. On the second verse she led and JT did harmony. There was of course a standing ovation as they left the stage. As he often does in his own concerts, when he sings “Up on my roof” he begins to hop onstage. But Carole’s style is different, almost in a minor key. They switch between arrangements. In case you haven’t noticed we’re really, really, really glad to be here. It’s like a magic carpet ride through Denver. Lest the audience think this was the end, They each raised a single finger suggesting just one more. They closed with this lullaby, as Carole sang the most wonderful harmonies. Though once harmonized by his first wife Carly Simon, Carole King was every bit as good, looking into his eyes with admiration and respect and at the end laid her head on his shoulder. These two iconic singer-songwriters, whose powers remain undiminished by the years, each has been strumming our heartstrings for decades. They closed with a kiss and embrace. It is rare to see performers with such sincere affection for each other who seemed to enjoy being with me as much as I enjoyed being with them. Carole King’s piano added depth to James Taylor’s vocals, and his guitar contributed percussive accents to her lyrics. His trademark plucking style, rhythmic strumming and fretboard hammering have inspired so many budding guitarists. Her deep lyrics and his soaring vocals. You’ve heard it said that the movie is not as good as the book? The Troubadour Reunion Tour album was not as good as the concert. Many artists of this age just can’t do it any more. These two can, with a polished and delicious concert. UPDATE: YouTube has an interview of James Taylor and Carole King from Denver here. I’m more than an ordinary fan of James Taylor. I’m a crazy, huge fan! I can’t wait to see him when he comes to Memphis next month. It’s Sunday, and the sun of James is going to shine over Orpheum Theatre. GO JAMES WE ARE WAITING FOR U!